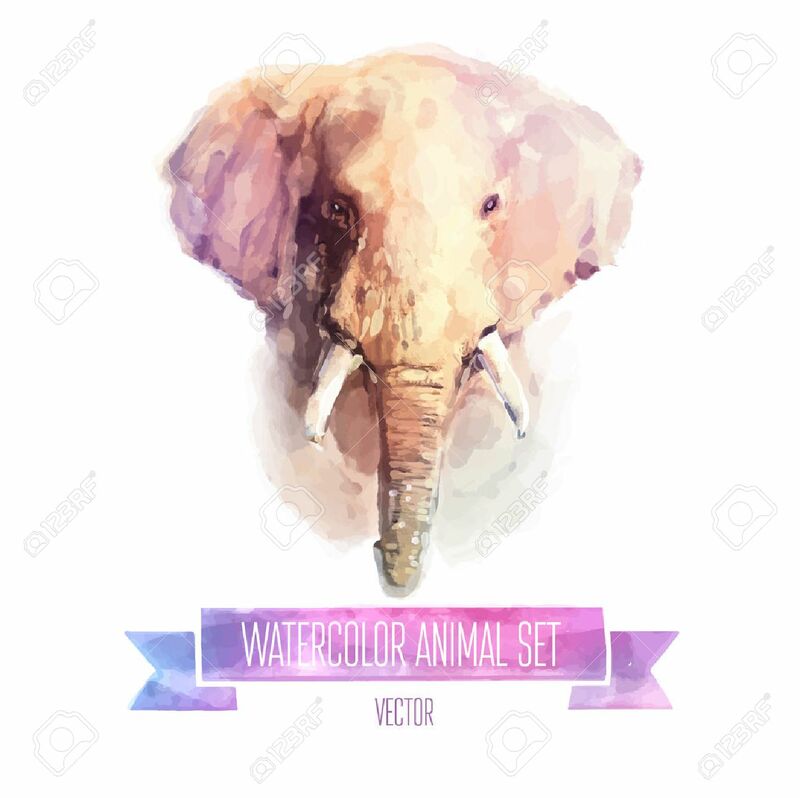 Vector Set Of Watercolor Illustrations. Cute Elephant Royalty Free Kliparty, Vektory A Ilustrace. Image 40131269.